Formula 1 is back with a vengeance with historic Monza following hot on the heels of Spa - Ben Briscoe attempts to guide you towards some hits and misses ahead of the Italian GP. Formula 1’s summer break is officially over with back-to-back GPs and the turn of historic Monza after the thrills of Spa last weekend. Silly season is officially upon us, after Felipe Massa’s decision to retire at the end of 2016 opening the door for the annual merry-go-round to start in earnest. Oh, Daniil! – Daniil Kvyat (£8m) – If any driver could justify a glum expression this season it would almost certainly be Kvyat. Axed from the Red Bull team to accommodate a young and inexperienced prodigy, a couple of run-ins with a four-time World Champion and a series of disappointing results have probably left the Russian wondering whether he’ll hold onto his seat in 2017. An examination of his fantasy performance does not make for pretty reading either. His total of 123 points and value of 15.38 points per million spent leave him 7th from the bottom of the 22-place roster in both categories. Additionally, he has only out-qualified his two teammates twice in 13 races this year, a record shared only with the departing Massa. That podium in China seems like a long time ago, and his current colleague Carlos Sainz would appear far more viable option at £2m cheaper and a comparable value of 22.17 per million spent. Clinging On – Felipe Nasr (£4m) – Every fantasy players from 2015 will remember the Brazilian drivers exploits last season and recall his golden boy status as the best-value driver, either being thankful for his bonus points glut, or cursing him for getting on the bandwagon too late! This campaign was always going to be more difficult in a team that has suffered financial issues and a car that has frankly struggled to be competitive and replicate the early points finishes achieved last season. However, the picture isn’t at all bleak for Nasr, with his impressive 152 points to date leaving him joint-third best value at 38 points per million spent, equal with the much acclaimed Romain Grosjean. Despite out-qualifying his teammate Marcus Ericsson 7 to 6, the margins between the two can be compared to 1/100th of a second, with the Swede edging value by a meagre 0.25 points. 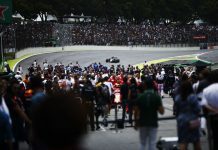 Can the Brazilian squeeze ahead whilst motivated by the rumours of a possible seat at Williams next year? Other Tips – Lewis Hamilton dominated Italy in 2015 for his seventh victory of the season, but had a fight off-track to successfully convince the stewards that there was nothing sinister in his low tyre pressures. 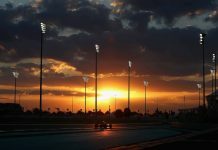 Sebastian Vettel will be looking to avoid a tangle with the team-mate and repeat his podium finish from last year, while Nico Rosberg will be desperate not to experience another late failure and keep building the pressure on the current World Champion. Further down the grid, even a romantic would struggle to believe that Felipe Massa can repeat his podium finish on the first racing weekend since his retirement announcement, whilst Jenson Button might be keen to announce himself available at the start of silly season, though finishing higher than 14th might help! Weather is anticipated to be hot and cloudy with no expectation for rain to mix-up the race weekend. On a high-speed, demanding circuit, it is difficult to look past Mercedes to dominate the front of the race although the midfield could be mixed-up with Ferrari and Red Bull expected to be in a close battle, and Force India again coming strong during the second-half of a season. Safety cars have appeared in 40% of the last ten outings in Monza, but it has been five years since the last outing for the Mercedes-Benz in 2011 – those willing to take a risk may believe that 2016 may buck that trend. Retirements are always a bit of a lottery but the Renault pair are always a good bet for reliability problems, although a first lap tangle involving Max Verstappen may be the hipsters choice this time around. Next articleVIDEO – Italian Dreaming – Jenson on Monza from Mobil 1 The Grid.